Anyone here work with this method? "According to the frequency therapy model, each note in the voice corresponds to a certain bodily function. For instance, if middle C is missing, this indicates heart problems. When the patient hears a mixture of frequencies including the note C over an extended period, the brain activates self-healing powers: the heart can become healthy again. In this way, a frequency mixture can be tailor made for every ailment." 1. I am not convinced that ALL heart concerns on ALL people are due to missing a C.
And what is the tuning of that C? Is it a range of C's? Where is the dividing line between C and C#? How specific are these frequency determinations? I'm not convinced that everyone's body parts share the same resonant frequencies. 2. My Cosmi-Sonic Trance Banjo is tuned to C and most of what I play on it is modal with open string droning supporting the melody. Can I cure everyone's heart problems with my Cosmi-Sonic Trance Banjo music? 3. The average speaking range doesn't cover a whole lot of notes. I am assuming they are measuring harmonics too. There's going to be many frequencies that do not fit conveniently into western scale of notes. How do they fit these frequencies into "notes", and how many specific note/ailment correspondences are there? 4. The implication seems to be that we need to be vocalizing "all notes" when we speak, if we are to be without ailments. With harmonics included, what are they looking at, three, four, five octaves of notes? Are all healthy people really sounding that full range of frequencies when they speak a sentence into a voice analyzer? 5. If our ailments are a result of missing notes, and the therapy consists of having the patient listening to electronic tone generator notes, might it be even more effective to have the patient learn to play a musical instrument and both play and sing those missing notes to themselves? I believe that the central and maybe primary (though not only) healing effect of sound and music is found in it's ability to assist or support in re-tuning the body/mind/spirit complex back to it's natural state of balance, of homeostasis, and in this state the brain/heart/spirit/mind/body activates self-healing powers (it's not just the brain!). In this I agree with the model. However, I question this voice analysis frequency model and would like to see much greater explanation of the process, the frequency range involved, how many "notes" are looked for, and the evidence that it is all about specific notes. Everything you said makes sense to me. According to their theory, people would achieve the best health by being exposed to white noise as much as possible... right? Perhaps white noise with the frequencies they typically speak removed. I see little of value in their theory and too many holes to make it seem worthy of much attention. But it certainly looks like another way for people to earn some good cash. And of course, never underestimate the placebo. One of successes discussed was with Parkinson's symptoms. I had a client experience complete relief from his Parkinson's for a full day after a morning Shamanic Sound session - so I don't doubt that there's something there but very seriously question whether it was that one magic note... I mean, did I just happen to deliver the magic note through one of my instruments to the man with Parkinson's or was it a more holistic treatment that created the response? What motivates me to give this attention is that it appears to be receiving 'legitimate' attention, at least in Germany. Something is creating results and that is worth looking at. The model presented fits the technology used though it may not be what is actually happening - thus my questions. I had a Parkinson's client I worked with for several years who would come in for a session for relief. !st time his symptoms receded in about 20 minutes and lasted for a couple days. Next time it lasted longer. Sometimes it only took 20 minutes or so to "reset" his brain, sometimes it took over 2 hours. The longest, believe it or not was the effect lasted 4 weeks. This went on and off for several years but eventually his condition got worse and he had to have a brain implant. I have spoken with his wife and she would like to bring him back to me to try again to see if we can "dial down" his setting on his implant device. Of course I offer no medical recommendations and everything is of their own choosing. We will see if it helps. They live 2+ hours from me so it is a day trip for him to come in with his condition being the way it is. I also have a sister with MS. Same thing i do a singing bowl layout and her symptoms recede for a day or so, sometimes longer. I think the issue mores so has to do with their activity level, stress is a big part of this, whether they are hydrated enough and what the are eating and more importantly how well they are sleeping. Frank, that's the longest I've heard, four weeks. That's great. I truly wonder if such degenerative illnesses can only be temporarily mitigated or if they can be legitimately reversed and healed. 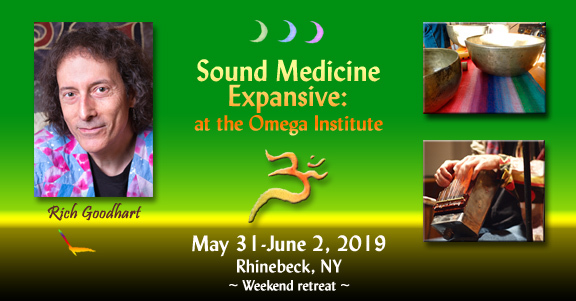 Besides Sound Therapy I imagine, if it is reversible, it would require a deeply holistic approach including diet, excercise, mental engagements, eliminating environmental toxins, meditation or qigong etc, as well as with Sound treatments. Agreed, and don't forget the PLACEBO effect in all of this...which goes back to mind, not just brain, but mind.